Country chair making takes time and practice. The best results are achieved with the simplest tools. 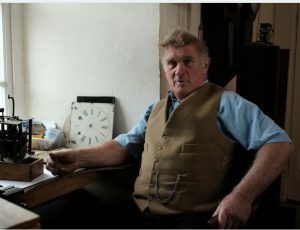 One-on-one tuition by Nigel or Laura in traditional chair-making. 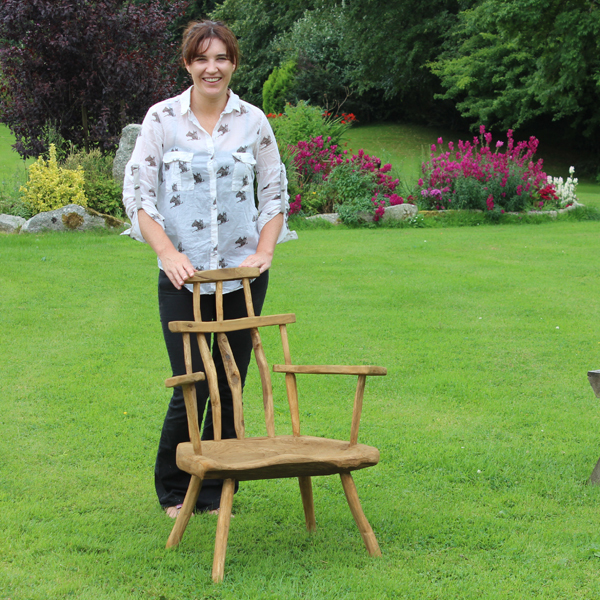 Learn how to make the pieces using traditional tools – Windsor chairs, Irish hedge chairs and Irish súgán. 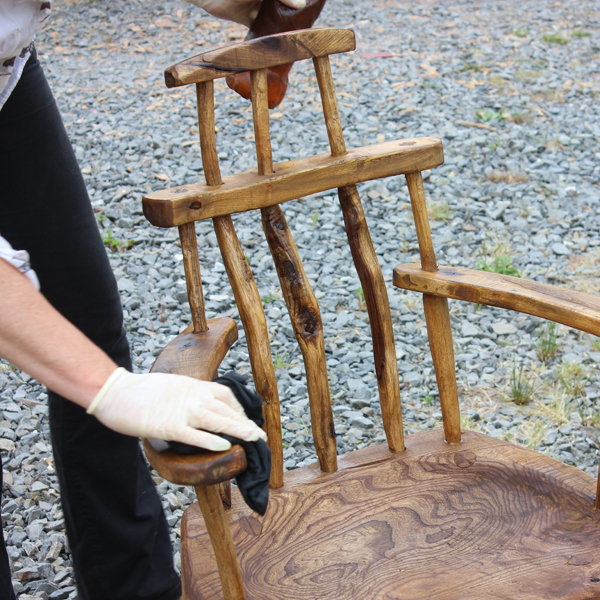 We also demonstrate how to replace broken spindles in sugan chairs and replace the seat cords. Two or three days, weekends or mid-week; one or two people only. Cost €160 per day and €80 per day for a second person (preferably weekend but up to three days) . Contact us for method of paymentdetails. Made from Irish woods supplied by Irish Timber Products at Athboy, Co. Meath. 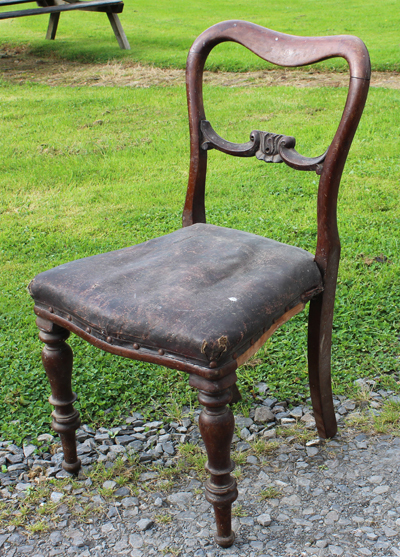 The seat is Elm, the legs are Oak, the back splat is Chestnut and the arm rest is Ash. 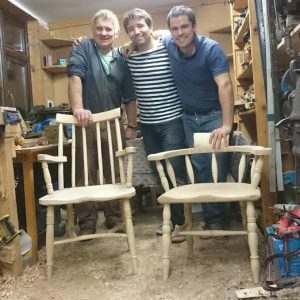 Two enthusiastic novice chair makers, two days, a bit of help and guidance. 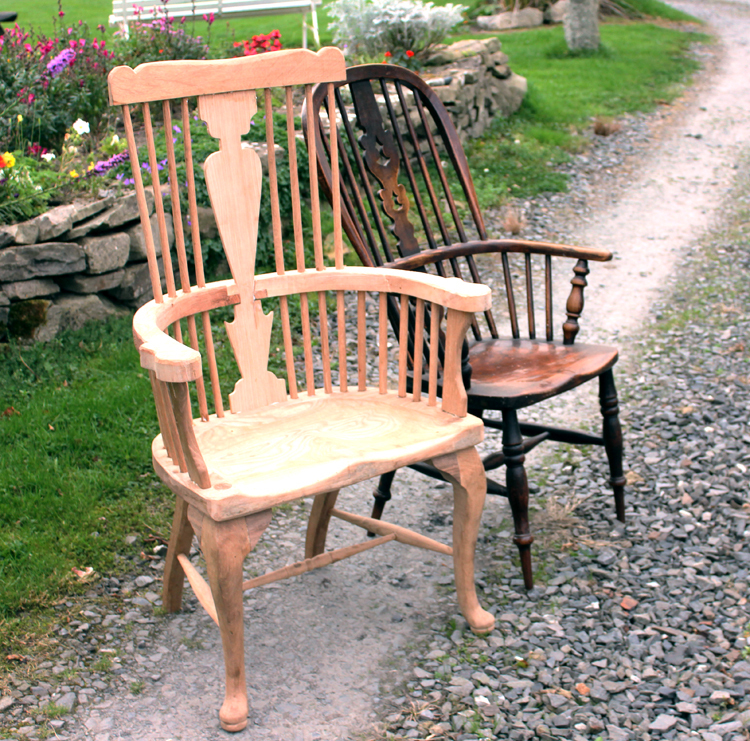 It takes more than two days to make a one-off chair like these but if its sound enough to be sat on, it can be finished at home. 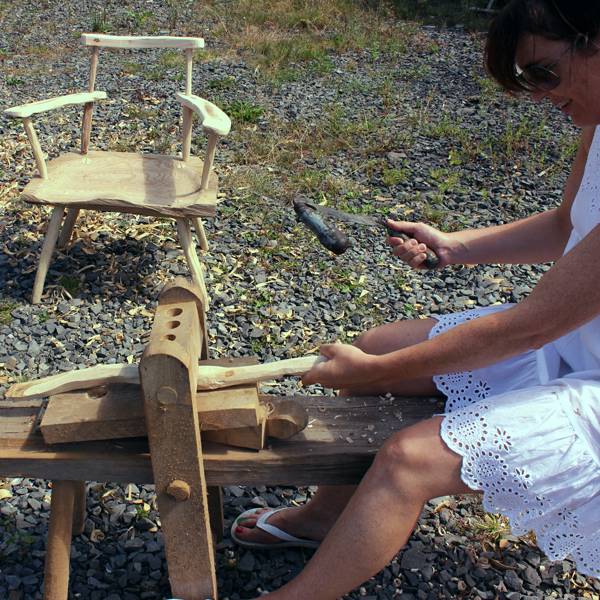 Making the spindles for this traditional Irish hedge chair, they are held fast in the shave horse and shaped with a draw-knife. The spindles are then fitted into the solid elm seat that Laura cut out with an adze.